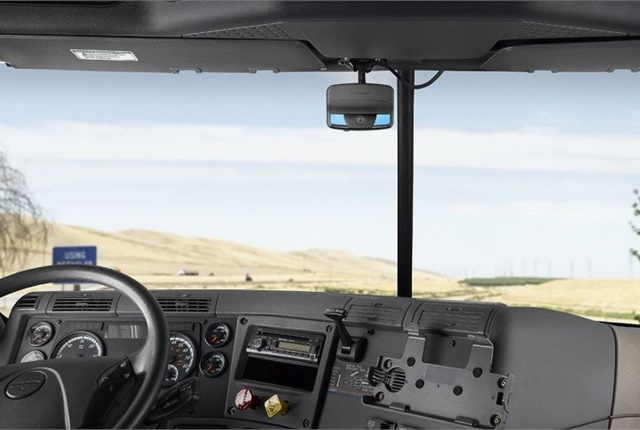 Refrigerated carrier Hirschbach has incorporated the Lytx DriveCam in-cab video system into its truck fleet to increase safety and reduce accidents. For a year and a half, Hirschbach actively tested the latest in video systems to determine which technology would be best for the fleet. After careful consideration, Hirschbach collaborated with Lytx. The Lytx DriveCam event recorder mounts to the center of the windshield of the tractor. The recorder captures short bursts of video clips when there are safety events such as a hard braking event, sudden stop, or roll stability event. The driver can also activate the recorder manually by pressing a button on the event recorder. "The technology will help Hirschbach in becoming a best-in-class carrier in safety," said Brian Kohlwes, chief general counsel and vice president of safety at Hirschbach. "Also, in the event of an accident that was not our driver's fault, the DriveCam video can help exonerate our drivers and us. We will be right with the safest carriers in the country by utilizing this technology. This technology will ultimately help us save lives."